This working group is in formation, the text below outlines the main discussion points from the launch event. 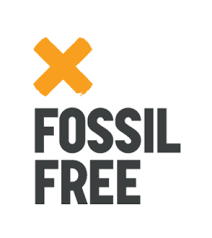 Please contact Jane Thewlis at fossilfreewypf@gmail.com if you wish to get involved! ~ Divestment is powerful as a way to show we don’t need fossil fuels. There are great alternatives available. ~ As well as discrediting the fossil fuel industry and demonstrating we can leave fossil fuels in the grounds, divestment can be linked with reinvestment targets in renewable energy, jobs and warm homes. ~ Fiduciary duty was discussed- the pension fund’s duty to do the best for their members, and not to just ‘maximise returns’ of the pensions. Divestment would allow both as it would demonstrate that burning less fossil fuels will be better in terms of climate change, as well as financially.